In the year 2009 came a Salman Khan flick named Wanted which crossed 100 crores in business. 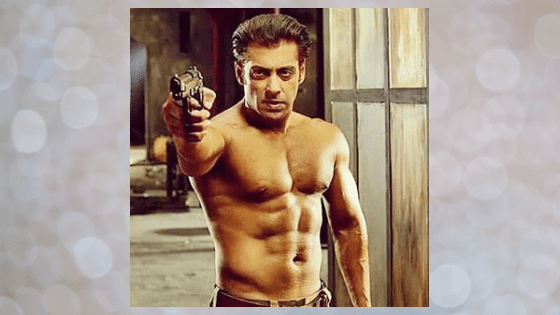 Wanted included ‘Bhai’ going shirtless, flaunting his 6 pack abs, beating the sh*t out of goons, cracking some jokes, romancing the girl next door, dancing like only he can, portraying his larger than life onscreen persona with ease and also a bit of acting here and there! The movie proved out to be a turning point for Salman’s career. In the years to come he eventually became the biggest superstar on the Hindi film industry’s cash register. In his latest outing, Salman portrays the character of a ‘desi’ wrestler named Sultan. The movie takes us through a journey of the humble beginnings of a young and aimless lad who sets foot in the field of wrestling thanks to his lady love. Ultimately Sultan tops all the charts. But all isn’t so hunky-dory as life takes a u-turn. Cut to today and we meet a 40-something out of shape ex-wrestler who must regain his glory. Sultan trains and gets back in the ring only to beat all the odds and rise to the top again. A typical and much predictable underdog saga backed by not so exciting of a love story revolving around ‘akhaadas’ and MMA wrestling ring and add to it, Salman Khan, who isn’t even showing off his 6 packs, Sultan is engaging but might not have worked in 2006. Both Bajrangi Bhaijaan and Sultan crossing 300 crores is a testimonial to how Salman Khan doesn’t always have to play larger than life roles. It is also a validation that he is the hero of the masses. Six packs or a paunch, an invincible superhero or an underdog, Salman Khan truly is the heartthrob of the nation today.